Experts say the tsunami threat to Sydney demands increased awareness. Whirlpools at the Spit, inundation of Manly Corso and major disruptions are among the possible impacts revealed in a first-of-its-kind study into the tsunami threat to Sydney Harbour. 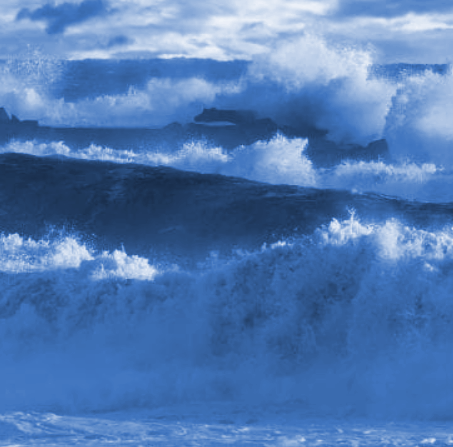 Coastal researchers from the University of Newcastle and the Bureau of Meteorology have modelled the effects of tsunami inundation in Sydney, and found the potential for significant changes in the water, from powerful currents to the formation of dangerous whirlpools. Using an impressive seamless 3D map of the land and ocean floor around Sydney Harbour, stitched together from individual pieces of mapping information, the team was able to accurately replicate the effect of such events in Sydney. Lead author and PhD candidate, Kaya Wilson, said the tsunami risk to Australia is under-researched and needs to be taken seriously. “When you broach the idea of Australia being susceptible to tsunami, you’re usually met with a dichotomy – either total disbelief that we’re at any risk, or panic as to what the threat means to the individual,” Mr Wilson said. The main cause of tsunamis is submarine earthquakes, which tend to occur at ‘subduction zone’ tectonic plate boundaries. For the east coast of Australia, one of the nearest subduction zones is the Puysegur Trench south of New Zealand. A tsunami originating from the Puysegur Trench could reach Sydney in about two hours. “A Sydney-sider will probably experience a tsunami in their lifetime, but the way we think about tsunami needs to be reframed to reflect a realistic picture of a likely event,” said coastal geologist Dr Hannah Power. “Hollywood sells us images of huge walls of water and engulfing waves, but in fact we’d be looking at something more like a significant and unpredictable tide moving in and out in minutes rather than hours. “The water could be rapidly rising and falling, with current speeds changing direction every few minutes. As a result, we could see dangerous whirlpools to the east of Spit Bridge, something which is reported to have happened in 1960 during the Chilean tsunami. We could also see serious coastal erosion impacting infrastructure. “Some of the larger events we’ve modelled could cause rapid current speeds of up to eight metres per second, becoming dangerous very quickly. For context, an Olympic swimmer might swim two metres per second at their fastest. Dr Power stressed the importance of raising community awareness of the tsunami risk to Sydney to ensure better understanding of how to respond. “If you think about a two metre swell, we wouldn’t feel the need for concern, however a two metre tsunami would be devastating,” Dr Power said. If a tsunamigenic event were to occur, warnings on the tsunami threat to the Australian mainland and offshore territories are provided to emergency services, the public and the media by the Joint Australian Tsunami Warning Centre. Emergency services have already been handed the team’s new findings. The team says it will now attempt to apply the same modelling to the rest of the east coast and even further afield.